Uncover the apps your users love. Did you know 1 in 10 Match users also use Tinder? 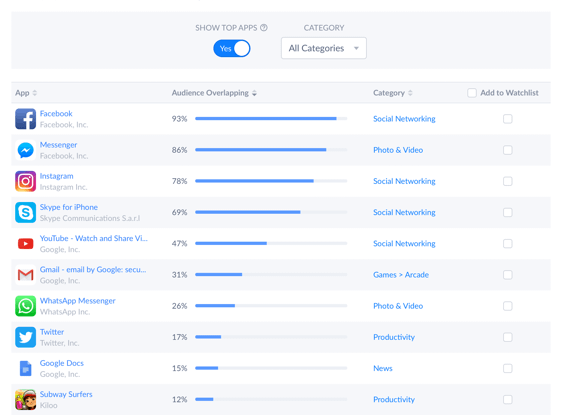 With our User Graph tool, you can identify the other apps most likely to be downloaded by your users. Filter by category to understand your competitors’ user base and your audience’s preferences. Leverage this intelligence to spot new advertising opportunities and stay ahead of emerging consumer interests and trends.